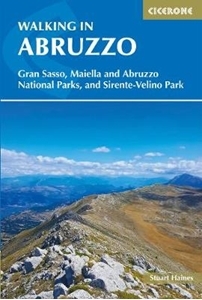 Guidebook for walking in Abruzzo, a wild region of Italy incorporating the Abruzzo, Maiella, and Gran Sasso national parks and the Sirente-Velino regional park. 40 day-walks are described including an ascent of Corno Grande, the highest point in the Apennines of peninsular Italy. The area is easily reached from the airports at Pescara and Rome.